When summer falls into Autumn in Charleston, it’s truly a beautiful sight. Shades of fall take over the Holy City and the nights become longer. Don’t forget all of the amazing outdoor events to keep you busy. Check out our list of what to do in Charleston in the fall season. We promise it will cure your post-summer blues. Moja meaning "One" in Swahili, created a multi-disciplinary festival that celebrates African-American and Caribbean Arts. This festival will highlight the rich history of African Americans and the Caribbeans and their contributions to Western and International Cultures. Festivities will begin on September 27, 2018, and will include visual arts, music, crafts, ethnic food and more. This is one of the Top 20 events for the Southeast Tourism Society. 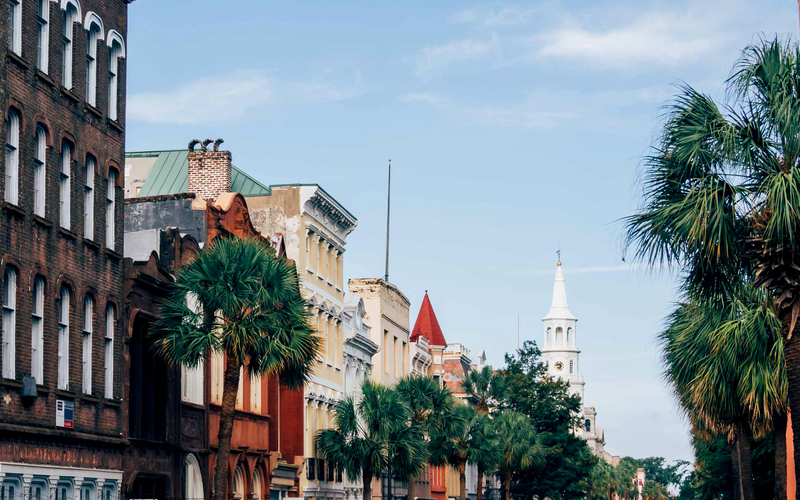 Experience Charleston from the local cultures and join in on the celebration of harmony. Join St. Matthew’s Lutheran Church as they host the best Oktoberfest of the season. You’ll be in heaven as you indulge in Local Charleston Beer and authentic German cuisine. Admissions include a meal and one non-alcoholic beverage plus live music from the Hans Schmidt German Band and Sounds of Ed Morris. This is a family friendly event, too! Children games will be hosted in the kinder zone as well as Face Painting and more. This event is the best way to kick off the fall season. Marvel at Charleston's elite architectural homes and private gardens in the 42nd Fall Tours of Homes, History, and Architecture. Journey through Charleston’s most significant buildings and landscape, as professional guides you through the difficulties and triumphs of gardening in Charleston. Learn from local horticulturists, landscape architects, and professional designers as they lead the tour through the historic district of the city. Don't forget to bring your camera as Richard D. Spencer will share his techniques on architectural photography. The Fall Tours of Homes is the best way to celebrate everything that makes Charleston truly unique. Calling all art lovers; experience the best of Charleston Gallery Association with their quarterly ArtWalk. Explore the city's best galleries in one night by taking a walk through the historic district of the city. Indulge with other aesthetes, in Charleston’s finest galleries the first Friday of October and December this fall from 5PM-8PM. This showcase of local and national artists will include Low country, realism, contemporary, photography and more. Snag your ticket to the 8th annual Party for the Parks on November 3rd and boogie the night away at Colonial Lake. This party is guaranteed to be the event of the year. Be captivated by foxy entertainment and beats by DJ Moo Moo as you party in the streets of the Holy City. All proceeds from the Party for the Park benefits more than 25 different Charleston City parks, giving a new meaning of partying for a purpose. Looking for the perfect family-friendly fall activity? Look no further. Boone Hall Pumpkin Patch has something for everyone. This nearly one-month long fall festival starts on September 29 and offers over 10 different attractions. Start the festivities on the Monster Hayride, stop by the All American Petting Zoo, and finish the evening by conquering the Corn Maze. Before you go home, don’t forget to pick out a pumpkin from the pumpkin patch.